The Fulterer FR 206.A 550 mm 225 lb. 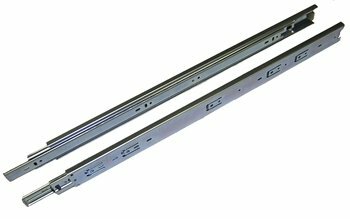 heavy duty drawer slides are ideal for automotive projects like battery box slide-outs, gas bottle storage pull outs, equipment storage compartments, any heavy duty application requiring vibration resistance. 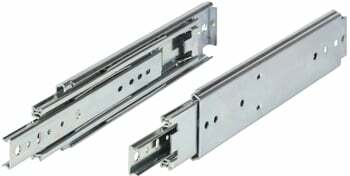 These are non-locking, so you will need to provide a seperate locking mechanism. 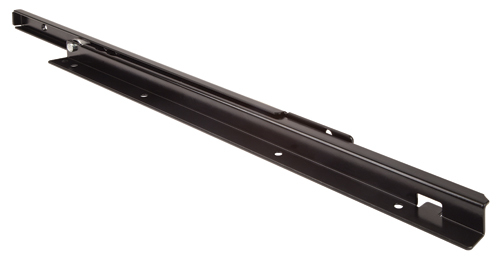 The rails are made from 3 mm (1/8") thick, zinc plated cold rolled steel, with a black powder coat finish. 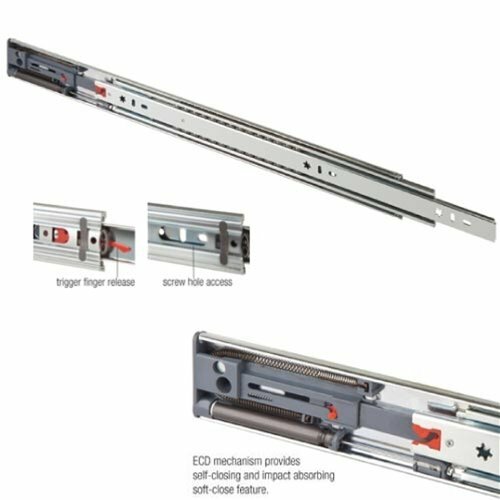 Features & Specifications of the Fulterer FR 206.A 550 mm heavy duty drawer slides. 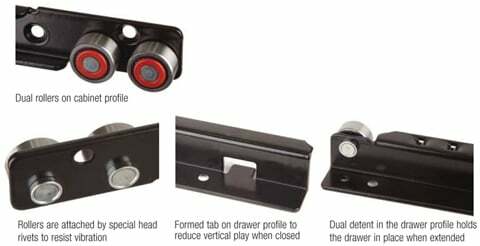 Set of 4 components, enough for 1 drawer. 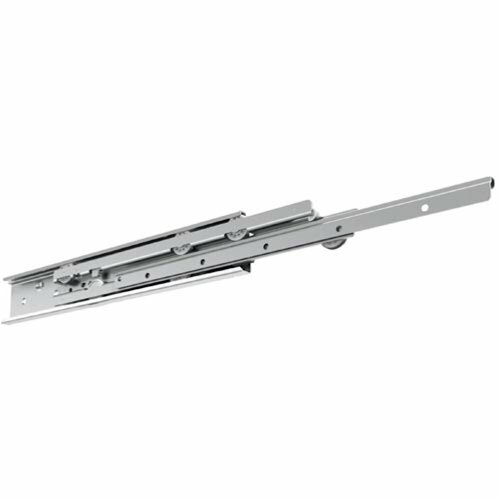 "Thanks for the prompt reply and the specific links to the hinge and mounting plate. I have placed the order. 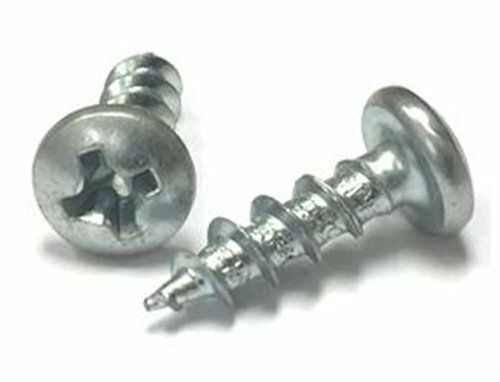 I will purchase again from you when I need hardware in the future. Keep up the great service! Received slides!! Thanks for the quick service!! We installed these yesterday and they work great! "Thank you, I figured it out. Appreciate the quick response. company and it is always so gratifying to deal with people that know their business. Thx so much for your help. 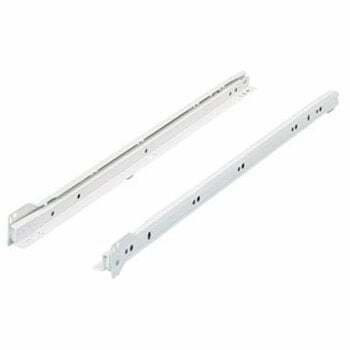 22" Locking Drawer Slides, Full Extension, Zinc, 500 lb. 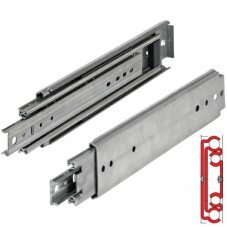 22" Drawer Slides, Over Extension, Heavy Duty 200lb.